Delivering a time proven product, backed by a market leading 15year guarantee. 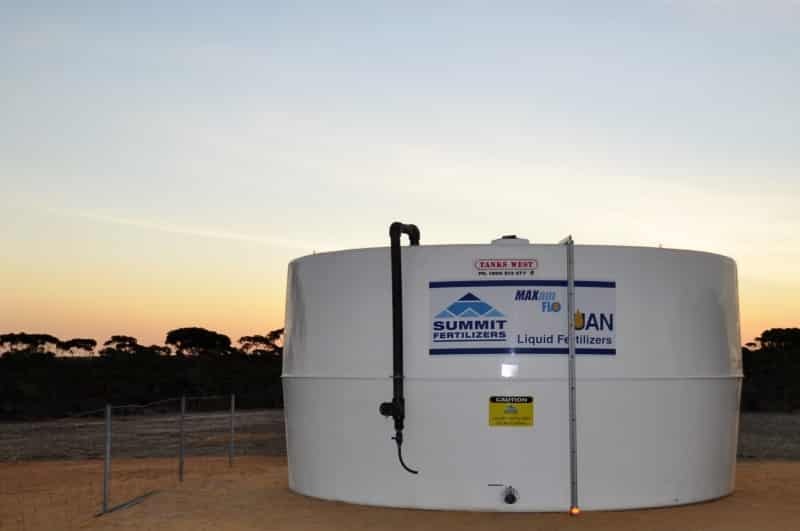 Tanks West is the leading manufacturer and supplier of liquid fertiliser storage tanks in Western Australia. Fibreglass is a world renowned composite material known for its tensile strength, impact resistance and superior thermal qualities. 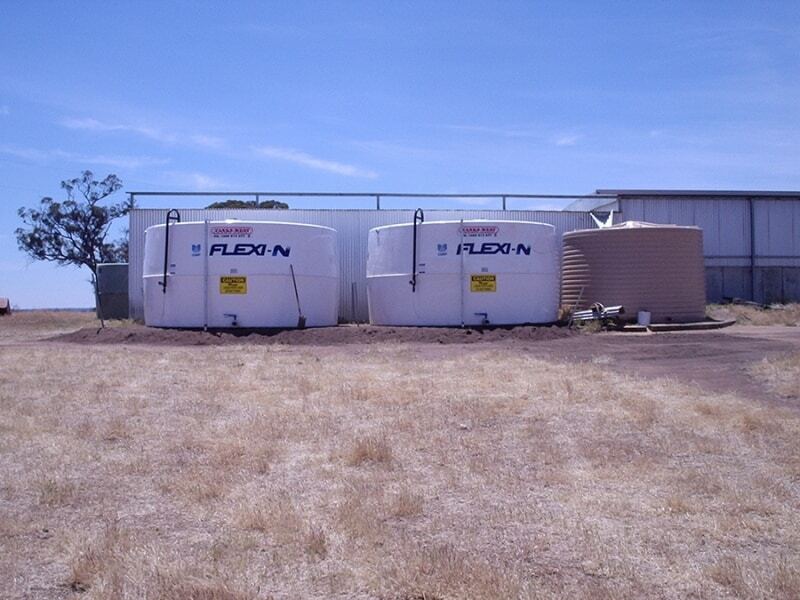 It is a material used extensively in a wide variety of industrial applications and it is proven in providing the best option for volatile liquid such as liquid fertiliser. 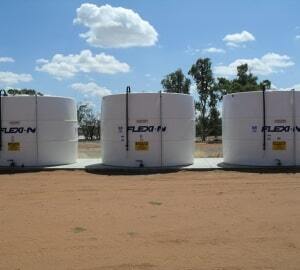 Tanks West gives you secure, long-term storage and safe handling of your liquids, we guarantee it! 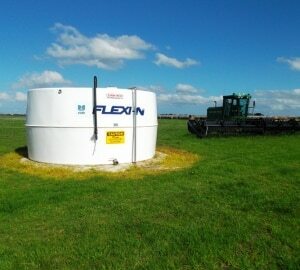 The continuing growth in the use of liquid fertilisers has seen an increase in demand for on farm storage facilities. 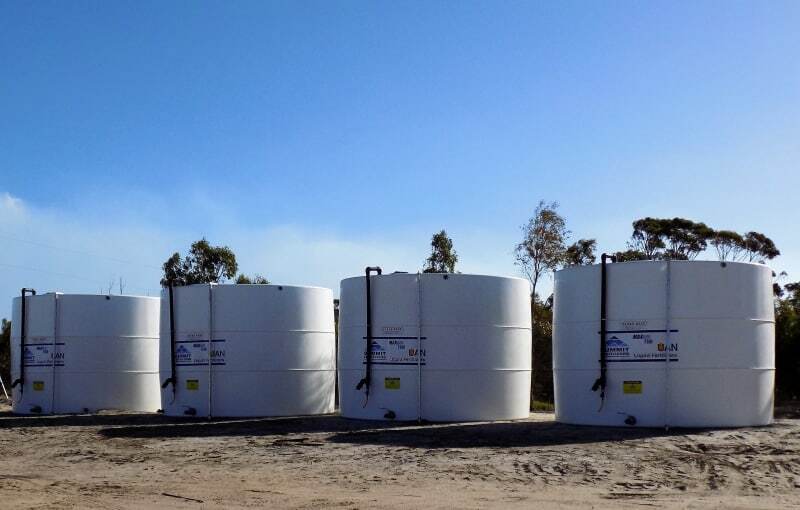 Tanks West has been supplying their rural customers with liquid fertiliser storage solutions for over a decade. 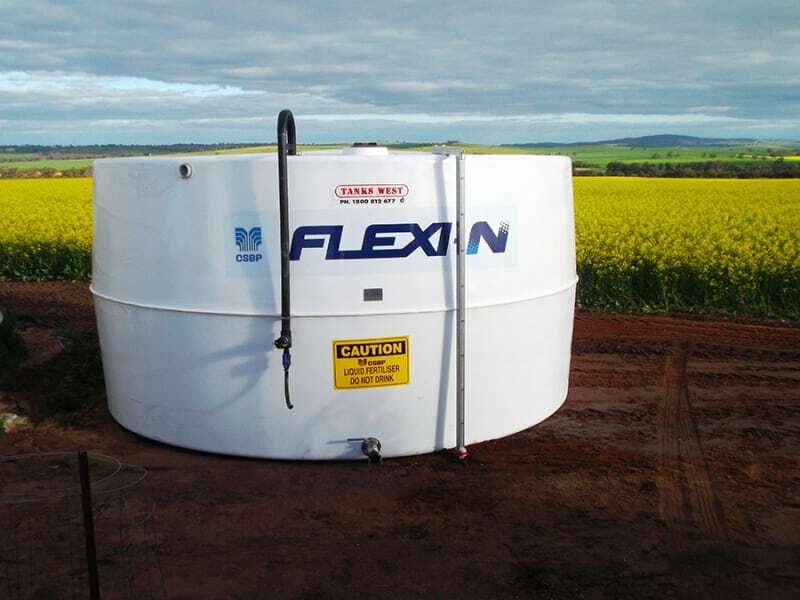 The products are designed to handle the full range of liquids (including the low ph phosphorus blends) and equipped with fast acting, easy to use gauges and valves, these storage tanks give peace of mind and efficiency during the busy seeding and spraying seasons. 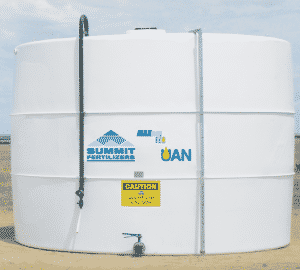 Tanks West is widely recognised as a selected preferred supplier of Liquid Fertiliser storage by all major liquid fertiliser suppliers. 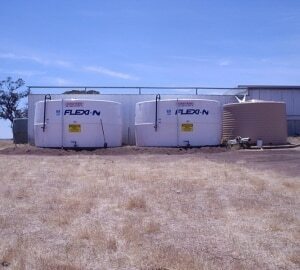 All Tanks West Liquid Fertiliser Storage tanks have certification for all blends of Liquid Fertiliser. 3” (80mm) HDPE Infill line with camlock & dust cap & 1” (25mm) drain valve. 2” (50mm) Suction Outlet – Stainless Steel Ball Isolation valve with camlock connection & dust cap on the 23,000L and 43,000L. 2” (50mm) or 3” (80mm) Suction Outlet – Stainless Steel Ball Isolation valve with camlock connection & dust cap on the 50,000L and 60,000L. 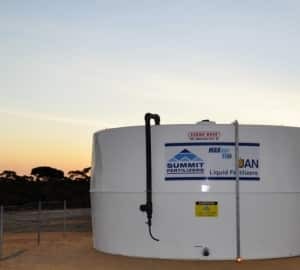 Tank Mounted level indication gauge (Liquidator), Safety Access Hatch, 4 Stainless Steel tie downs on the 23 000L, 43 000L, 50 000L and 6 Stainless Steel tie downs 60 000L. Manufactured using advanced resin technology and a dense matrix of glass fibre reinforcement ensures superior laminate strength. 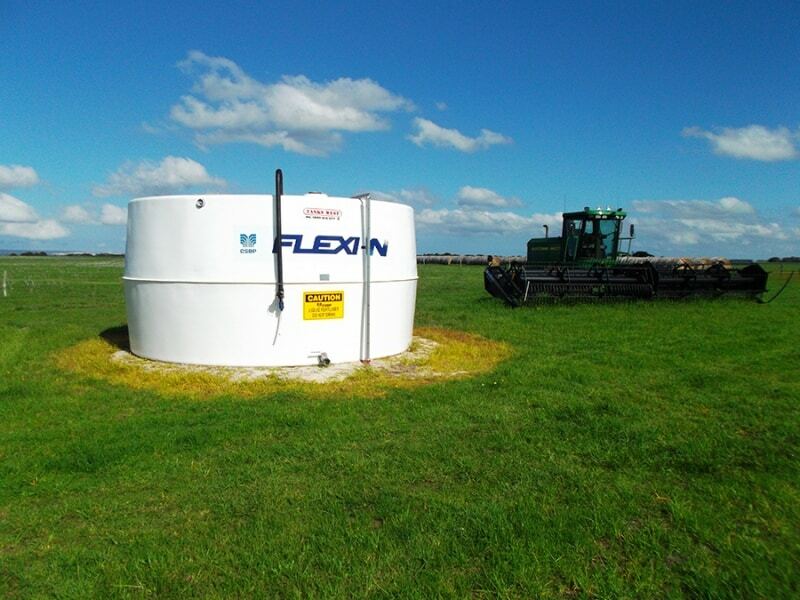 With the high specific gravity of liquid fertiliser at SG 1.33 and the new phosphorus based fertilisers, all Tanks West Liquid fertiliser products are built to handle liquids with a SG up to 1.5 ensuring a generous safety margin providing effective long-term storage of your liquid fertilisers. 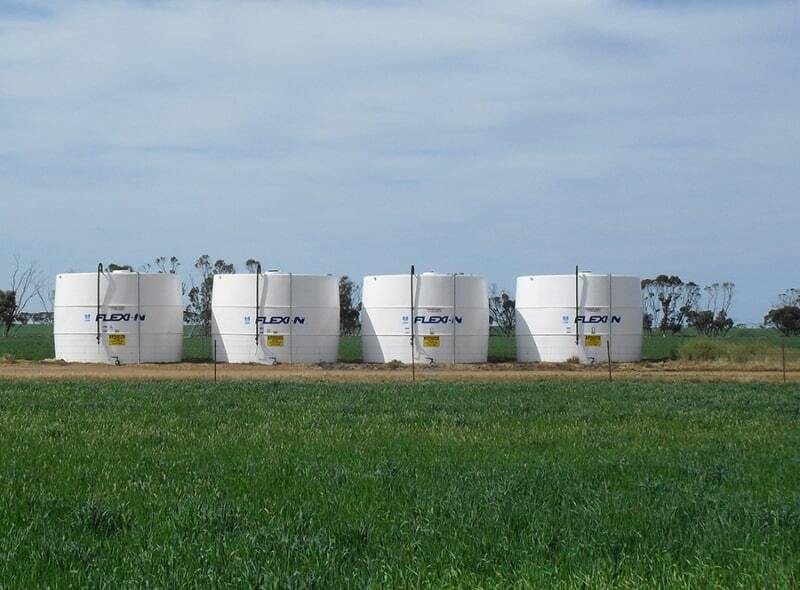 Superior chemical resistance is achieved through the terephthalic resin system employed in these tanks. 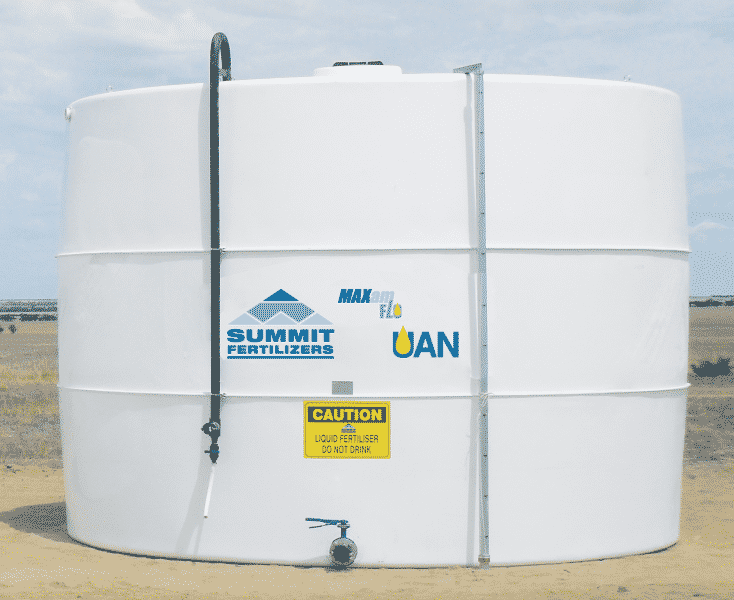 This advanced system ensures the tanks are equipped to handle a range of fertilisers, insecticides and herbicides, and temperatures up to 60°C. 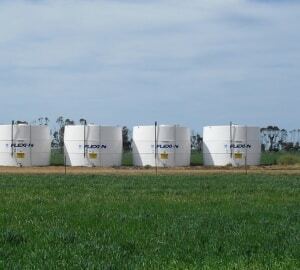 Catering for the more aggressive phosphorus and NPK fertilisers of the future is smart thinking meaning growers have their options covered into the future. Stainless Steel valves and flanges provide increased resistance against corrosion and the moulded poly fill line is more robust and long lasting than its PVC equivalent. 3” Fittings are included with the 50,000 and 60,000L and can be ordered at an additional cost for the 43,000 and 23,000L. 3” fittings allow faster liquid transfer, saving you precious time during busy periods. Our unique design features a central hoop strength band and combined with the lower profile of our tank greatly improves strength and longevity. This counter balanced gauge means the level indicator tracks the tank volume. When the gauge is at the top, the tank is full. No more mistakes as the operator was in a hurry, you can see at a glance how much is left in the tank. 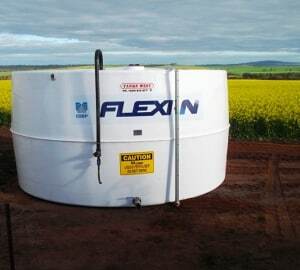 The two-part safety access hatch restricts unauthorised entry to the tanks and provides an extra level of safety. 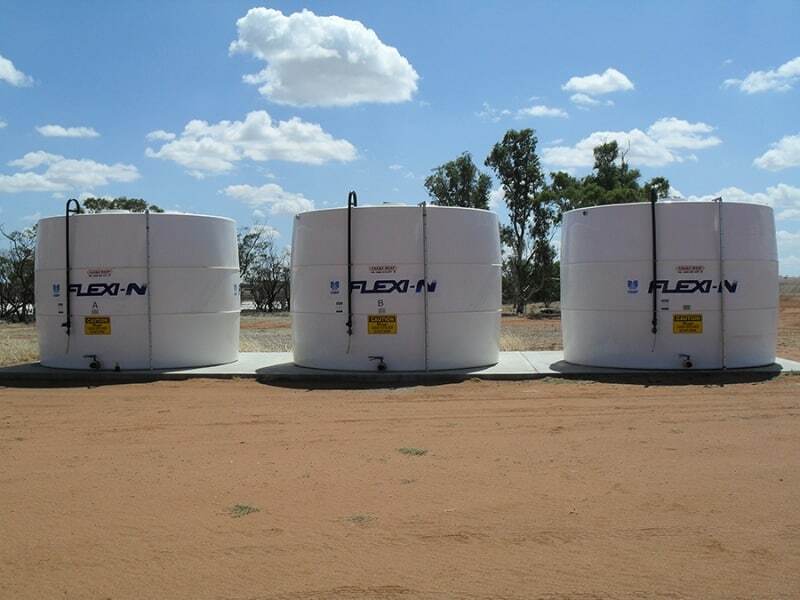 Our fleet of purpose built delivery trucks ensures your storage tanks are delivered efficiently and on time by our professional drivers. 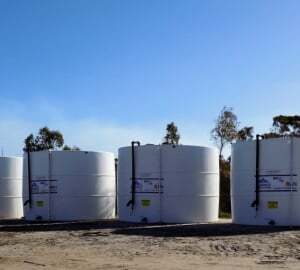 *The above comparison of engineering properties is based on published data relating to the common grades of fibreglass and polyethylene used in tank manufacture.